Video surveillance systems, professionally installed for organizations of any size. Very competitive; straightforward pricing. Free quotes. View live or recorded, High Definition (1080p, 720p) video from your phone or remote computer. Experienced staff delivers highly functional systems with proven methods. Capable of delivering advanced enterprise solutions. Feature rich, multi-site, high performance, many cameras. Custom solutions meet your needs, and fit your budget. The cost has never been lower to have a professional video surveillance system installed at your facility. 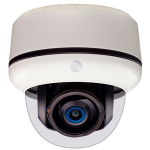 Reliable, high definition security cameras are the norm in new video surveillance installations. Customers can expect video with amazing detail, and access it easily from their phones or any computer. Live & recorded video is so reliable, and easy to access that it becomes a much utilized, effective management tool. Detailed video provides a digital time and date stamped record of events, exactly as they happened. Organizations discover all kinds of uses for the live and recorded video that are unique to their operations. IP Pro Tech has been delivering modern, high quality video surveillance systems to businesses and organizations in & around Portland, OR for over ten years. Our systems are designed and installed with a reserve of knowledge about what works in the region and what is needed to give the most benefit to our customers at an exceptional value. Call to schedule a free site survey with an experienced professional, and get a no hassle, no obligation quote.